Ambrose Powell (“A.P”) Hill entered West Point in the class of 1842. He came from Culpeper County Virginia, a slight boy with a fiery temperment and wild personality. Graduating in the middle of a class of thirty five, in 1846, he was sent to Mexico as an 1st lieutenant artillery officer, but he arrived just as Mexico City was falling to Scott’s army and saw no action. Stationed for short periods in Texas and Florida, Hill contracted yellow fever, typhoid fever, and malaria. These illnesses rendered him bed-stricken for long periods of time during the 1850s and when he recovered he switched to the Coast Surveying Department where he was stationed in Washington. There he met and became engaged to Mary Ellen Marcy, but her father, Randolph Marcy, disapproved, and Mary Ellen broke off the engagement and married George McClellan, in 1860. 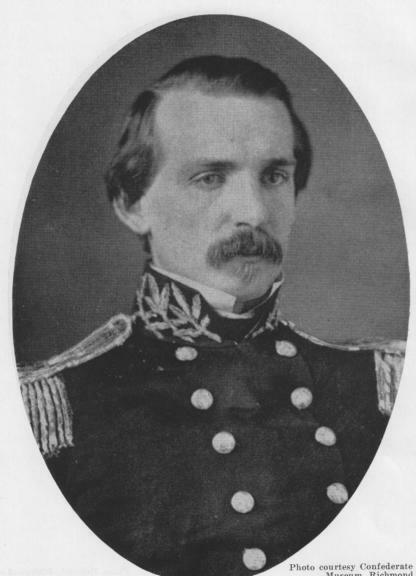 Hill resigned his commission shortly after Mary Ellen returned the engagement ring and returned to his boyhood home at “good old Culpeper.” When Lincoln’s election occurred, in November 1860, he sought a commission with the Virginia state militia and was given command, as its colonel, of the Thirteenth Virginia Infantry Regiment. 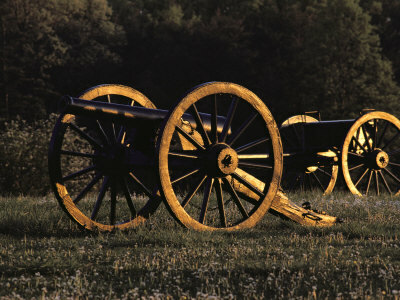 Later, in May 1861, the regiment became incorporated in the 7,000 man Army of the Shenandoah, under the command of Joseph E. Johnston. At the first battle of Bull Run, in July 1861, Hill’s regiment was not engaged in action, stationed instead several miles from the battlefield at Manassas Junction. Then, when Johnston’s army (now 50,000 strong) shifted from Manassas to the Yorktown Peninsula, to counter McClellan’s advance to Richmond, Hill was promoted to brigadier-general and given command of James Longstreet’s brigade (First Brigade) when Longstreet was promoted to division command. At Williamsburg, during Johnston’s retreat from McClellan’s advancing front, Hill handled his brigade successfully in a short battle which forced Winfield Hancock’s brigade back from Fort Magruder. After the battle of Seven Pines, General Lee took command of the army from Johnston who had been wounded, and called several brigades from the west to reinforce the army. These brigades, along with the First Brigade, Lee organized into a ten thousand man division—the largest in the army at that time—and gave it to Hill, promoting him to major-general. Hill was now thirty-six years old. At the Battle of Gaines Mill, Hill’s division was positioned in front of Boatswain Creek, the center of Lee’s attacking lines, and fought to break through Fitz John Porter’s defenses for four hours, suffering 4,000 causalities. Though bent, almost broken several times during the long struggle for control of the creek valley, Porter held Hill’s success to the seizing momentarily of the lower tier of Union barricades near creek level. But Hill’s effort made it possible, late in the day, for Jackson’s command—prominently the John Hood’s Fourth Texas—to charge almost unimpeded, into the middle barricades, charge the rim of the plateau Porter was holding, and shock the defenders into making a mad retreat toward the Chickahominy bridges. Pursuing McClellan’s retreat toward Harrison’s Landing, Hill’s division attempted to cut his trains in two as they were passing Frayser’s Farm, but McClellan cut his way through by the skin of his teeth and made it to Malvern Hill. 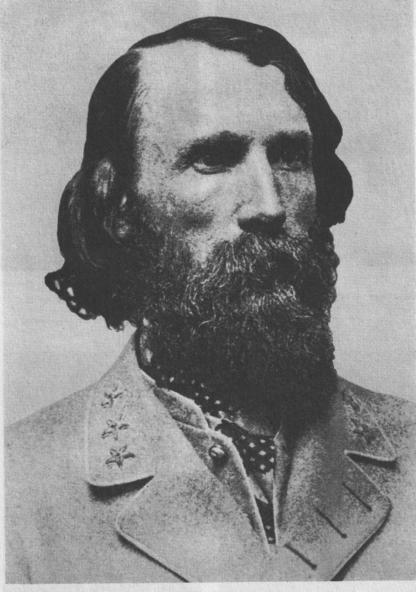 Soon Lee was sending Jackson and Hill north to Gordonsville to counter the emerging threat posed by the appearance of John Pope and his Army of Virginia on the Rapidan. Jackson, always the believer in the concept of shocking the enemy with unexpected attacks, threw his division across the river at Cedar Mountain and struck at Union general Nathaniel Banks’s advance. 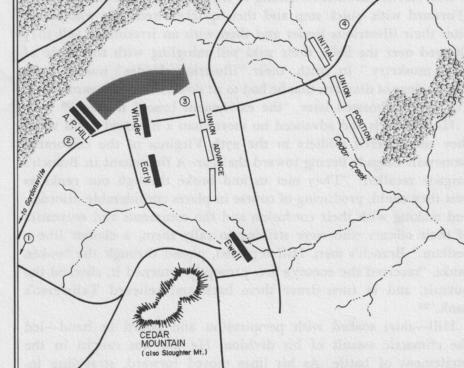 Banks, though, fought his troops like tigers to Jackson’s surprise, driving Jackson’s brigades in disorder back to the river crossing, almost turning the situation into a rout—the rout stopped only in the nick of time when Hill’s division arrived and slammed into Banks’s right, driving it back and threatening to cut off Banks’s from Pope’s main body that was miles north on the Culpeper Road. Later, at Second Manassas, Hill’s division was in the thick of the battle, holding Jackson’s left wing from collapsing under the wild assaults Pope threw at it, with Heintzelman’s and Sigel’s corps. 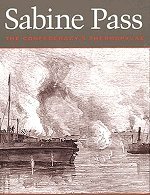 But his greatest glory came with his arrival at Sharpsburg late in the afternoon, when Lee’s position at Sharpsburg was crumbling under the weight of McClellan’s attacks. At Chancellorsville, six months later, Hill was riding alongside Jackson as he was trotting his horse down a lane in the darkness, trying to gauge where Howard’s 11th Corps was positioned in the woods, after its wild flight from his earlier surprise attack. The sound of the horses spooked those on both sides in the woods and a volley of rifle fire rang out. Bullets struck Jackson and Hill, Jackson’s elbow was shattered, Hill a wound in the leg. Both generals were taken to the rear, unable to continue in command. Jackson died from his wounds, Hill recovered. At this point in his career, Hill became the third soldier that Lee trusted to command a corps in his army. Hill held corps command from Chancellorsv ille to Gettysburg, through the long struggle with Grant down through the Wilderness to Cold Harbor and to Petersbur, and the siege, the Crater and Five Forks. 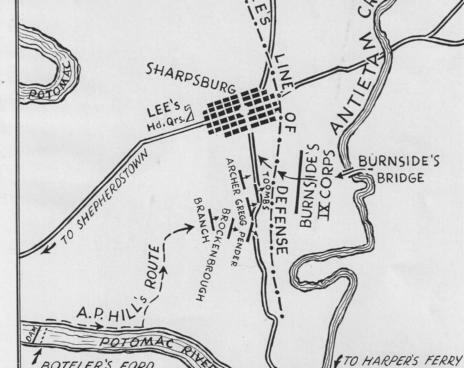 When Sheridan routed Pickett’s division at Five Forks, turning finally Lee’s defensive position at Petersburg, Hill was with Lee at headquarters. 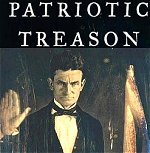 Charles Venable, one of Lee’s aides, burst into the room, shouting “The lines are broken! Grant’s pouring them in!” Hill immediately jumped up and ran out the door, Lee calling to him to come back, and leaped upon his horse and galloped off toward Five Forks, two of his aides following him. 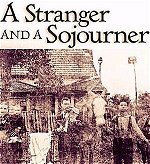 Pulling his pistol as he rode, he soon came upon a mob of Confederates swarming past him, with shouts of. 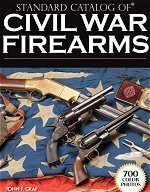 “We’re flanked!” They’re right behind us!” Hill stood in the stirrups, waving his pistol in one hand, holding the reins in the other, shouting as he rode—“Come on, men, follow me! Do you want to live forever?” The crowd was gone now, like water in a stream cut off, only driblets, a few scattered groups; then the blue coats began to appear and he rode directly toward them, screaming, “Surrender, the division is coming up.” A rifle barked and Hill slumped against the neck of his whinnying horse and fell dead to the ground. He is buried in Richmond. Hill's remains have had a strange journey. 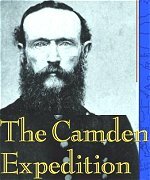 While Richmond was burning his son trundled the body into the city in a wagon, with the idea of burying it in Hollywood Cemetery. The violence in the city made this impossible so the body was taken up the James and buried on an estate. Several years later the body was exhumed and reburied in Hollywood. Then, in 1887, a developer, building a subdivision in the Richmond suburbs, came up with the idea of a monument to Hill, to be placed at the entrance of the development, and Hill's remains were exhumed again and buried underneath it. (The intersection of Laburnum Ave and Hermitage Road.) 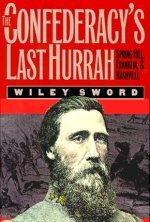 A bizarre ending for a great Confederate general, but his relatives allowed it.